The sun is born again. I always breathe a sigh of relief on December 22, because I know in my mind that the days are aren’t getting shorter. The sun will return—the days get longer, and the temperature (eventually) gets warmer. Simply knowing that makes me feel better. Some people are really affected by the seasonal change, and while I’m not deeply impacted, I’ve noticed that the cold and darkness really start to get to me toward the end of November after Thanksgiving is all over. Then it’s just like, grit my teeth, bear through the next two or three weeks till the 21st, and then “Ahhh….” we’re finally on the other side, a new year. I am a bit pagan in this way. I like to think of the major holidays as celestial events (like, Christmas = Winter Solstice and Easter = Spring Equinox). While I don’t ascribe anything supernatural to these special days, I still like to observe them, because in some ways it feels very ancient and “right” to me. For example, one of the most amazing things I was able to see on my travels in Ireland, is a megalithic monument they call Newgrange. This place is actually older than the Pyramids of Giza. It’s has similarities to Stonehenge, but it’s a massive hill, with an opening in one side that directly lines up with the rising sun on December 21. 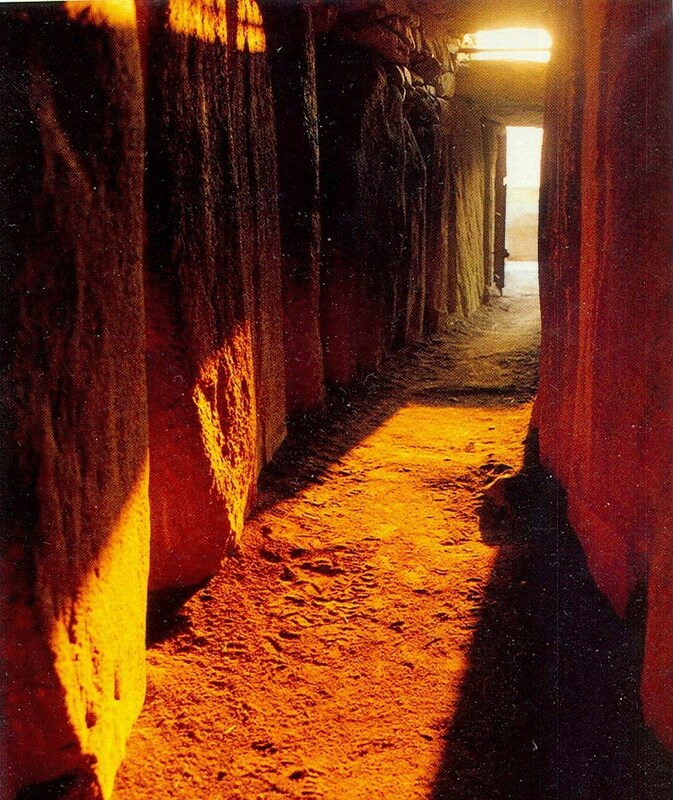 Every year, without fail, the sun rises up over the horizon, and peeks its light directly down the very narrow tunnel, and illuminates the interior chamber nestled in the heart of the huge hill. The phenomenon will work a little bit in the three days before and the three days after, but on the 21st its effect is most profound. It has done this for 5,300 years. Modern scholars are of course mystified by how an ancient civilization can build such a thing. The ancient people dragged massive boulders across miles and miles of terrain and arranged them neatly in a circle around the bottom lip of the hill. The sheer amount of planning, resources, and effort needed to complete such a project with the tools that they had available to them is hard to fathom. I remember the tour guide saying something like, “Consider that the average lifespan of a man at the time was maybe 40 years, and that this project would have taken 30 years to complete. That meant that men that started to work on this thing may have died without having seen its completion.” That is dedication. So, why would they do such a thing? Why was it so important that this temple align with the point at which the sun is at its weakest? I often imagine that maybe they thought their sun god might just continue to wane and wane, and then eventually never come back. Which would mean the death of the world. Chilling. Thankfully, blessedly, the sun does return without fail, and this temple is a way to prove that fact every single year. Maybe they breathe a big sigh of relief just like I do. Happy solstice everyone. We gained about 1 minute of light today!